Cookie butter, it is like a joy in jar! Not only that it is amazing with banana ( my favorite way to use up the spread), I love using it in desserts! While it finally cooled off here in Socal ( 80's..what a relief!) , it was around 90-101 degrees these past few weeks so I always look for ways to not heat up the kitchen. I have made Cheesecake shooters before, every time I make it for friends and family..it is always a hit. 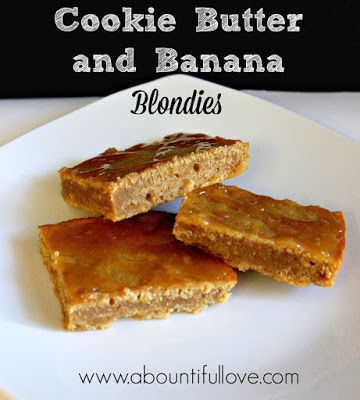 The Cookie Butter and Banana Blondies are also crazy good! Don't get me started with the Cookie Butter Roll Ups, easy and awesome for breakfast. Well, I can't actually decide if it should go on breakfast category or dessert, it is just good anytime of the day. 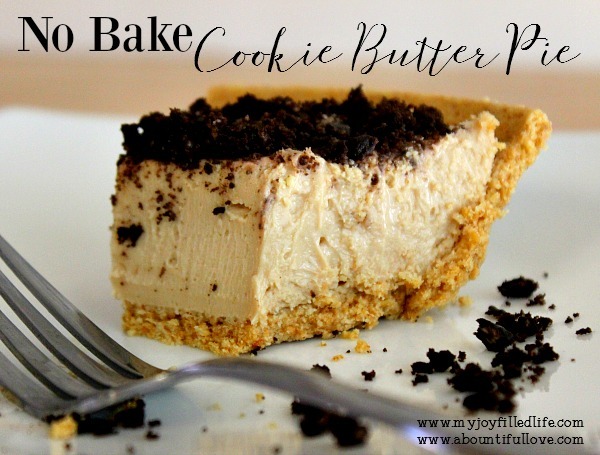 I am over at MY JOY FILLED LIFE, sharing my love of cookie butter! 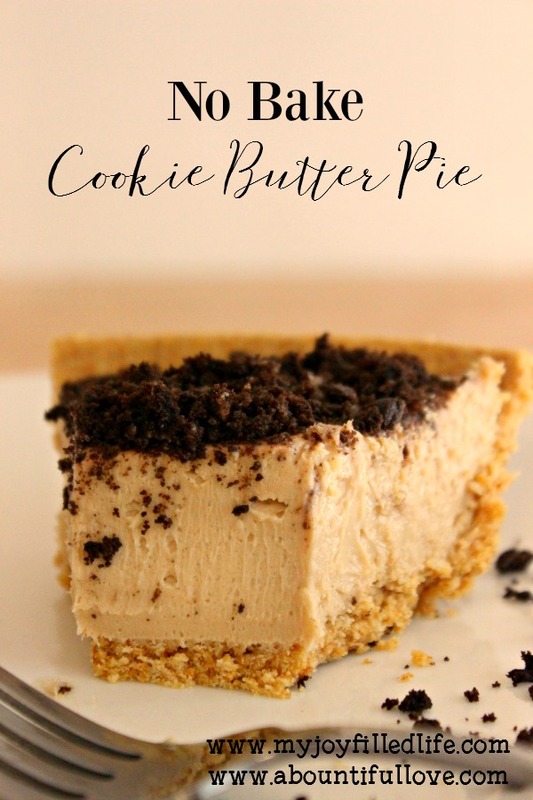 Get the recipe for No Bake Cookie Butter Pie HERE. 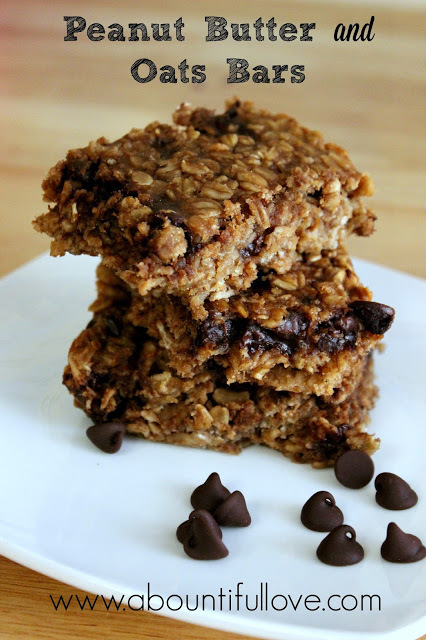 This is an easy, delightful after school snack and dessert. 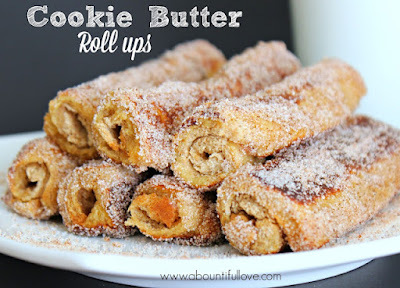 You can not go wrong with a bottle of cookie butter, the dessert ideas are plenty. I think the most challenging part in making this no bake pie is waiting for it to chill. This creamy, tasty, thick and one good no bake pie will not disappoint! Hop on over at My Joy Filled Life for the recipe! Shared with these amazing LINK UPS and BLOG HOPS. Oh yum! Thank you for joining the Creative K Kids’ Tasty Tuesday linky party. I can’t wait to see what you create next week! I am sitting here with a plateful of dessert in front of me right now, yet now all I can think of is this pie! And I'm sure I wouldn't have the patience to wait for it to chill, either! Thanks for joining us at #FridayFrivolity!